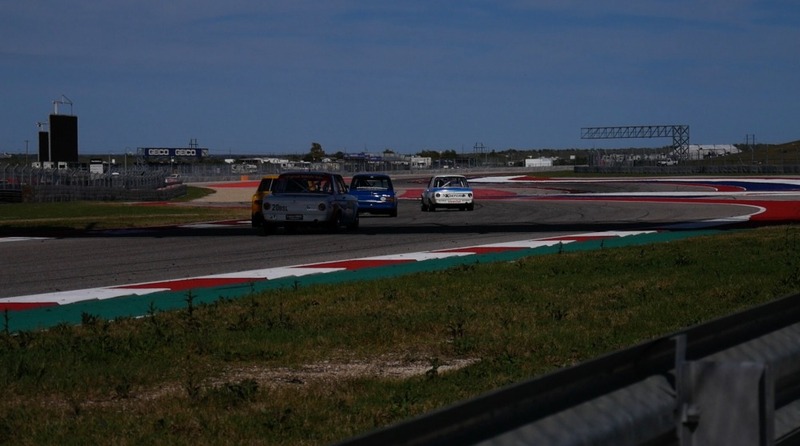 We went down for the SVRA Nationals last weekend at COTA outside Austin, TX and competed in the B Sedan race. It was a knock-down, drag-out affair with the top 4 cars finishing within 2.5 seconds of each other. I'll provide the following picture of us entering Turn 3 to show how close it was for the entire race. You'll have to wait for the video to see the outcome. Stay Tuned! The problem will be editing the video to a reasonable length. It was a VERY hard fought race and stuff was happening throughout the entire race. Define "stuff"....stuff sounds like shenanigans.....??? It was good, hard, tin-top racing at its best. Everybody drove their guts out but left room for the other guy and didn't do anything stupid. Nobody left anything on the table. It was one of the best races I have ever been a part of and the congratulations and back slapping that went on in victory lane was heartfelt and full of mutual respect for the race we all drove. The "stuff" was hard back and forth racing. I probably should have used "action" rather than "stuff." On a serious note, COA track seems like an incredible venue. My wife and I enjoyed our brief visit on Saturday. We should have come out on Sunday, too. I saw Rob Belvue's car at the VARA race this weekend and he had 2 incidents that resulted in body damage........ apparently one happened on the warm up lap.... that's the definition of stupid. The video was fantastic, thanks for taking the time to film and edit it together. I watched the whole thing........what a race!!! Great driving by all you guys up front! So cool to see a all BMW podium! Love you cars and channel! Awesome video! 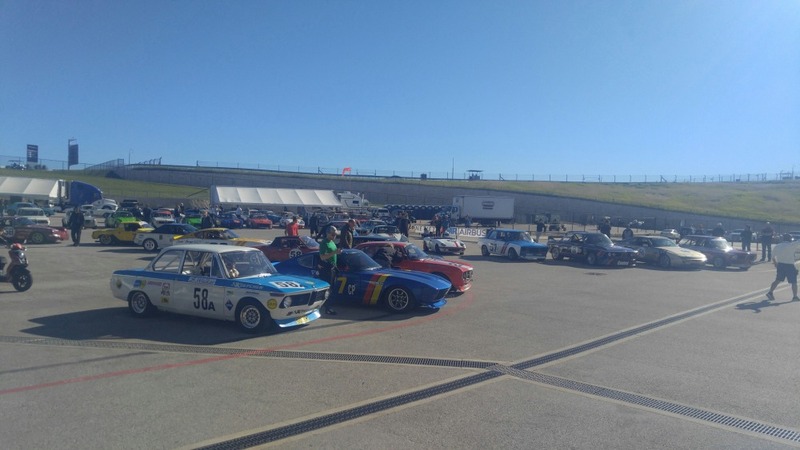 Makes me want to go to COTA! Wow, so much for testing... The yellow 510 suspension setup was scary !!! And that blue square tail was definitely pinching it.